My Appointment | Fast & Furious Northcliff | Book appointments online hassle free. "Waxing clients have had to endure unhygienic, painful and long outdrawn appointments by poorly trained therapists for far too long." says Fast & Furious Waxing Specialist owner, Adele Mans. Adele opened her first branch of Fast and Furious Waxing Specialists in Randburg, Gauteng, in 2010, after spending 16 years in the beauty industry. 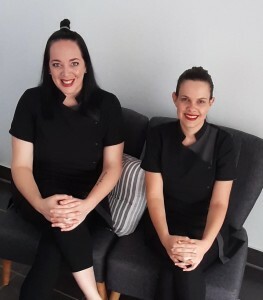 “In regular spas and salons waxing is more than often the last priority, both for therapists and clients.” The Pretoria branch opened in 2013, and subsequently the Waxing Academy opened in 2014 to help re-train existing waxing therapists as well as anyone who wants to enter the industry for the first time. Men and women can now have a very quick, efficient wax in a clean, classy set up with a specialised wax, mixed by a cosmetic laboratory, to ensure extreme comfort and an almost painless experience. Like the salon name promises, the treatment is over quickly and administered thoroughly. filled with a cherry scent. Every utensil, towel and wax pot is hygienic and clean. skin smooth and comfortable well past walking or running with aerodynamically enhanced speed in and out the salon doors. Bookings are done regularly, every two to three weeks, so waxing is done on short hair to ensure best results and minimal pain. Gone are the old fashioned beliefs that waxing should be done on long hair, every six to eight weeks. The studios also offer Vajazzle Swarovski body crystals after waxing, as well as Body art.